The only reason I included this book in the JT book nook is because it has a picture of the Dolls on the front cover. Inside there are many photographs of musicians that pressed the boundaries of what is considered normal male appearance. There are several of the Dolls but none show Johnny or Jerry Nolan. Simel has presented a good history of this phenomenon starting with musicians like Elvis and Jerry Lee Lewis and ending with Boy George. Looking back it's hard to realize that The Beatles or The Rolling Stones at the time could be considered to appear feminine. 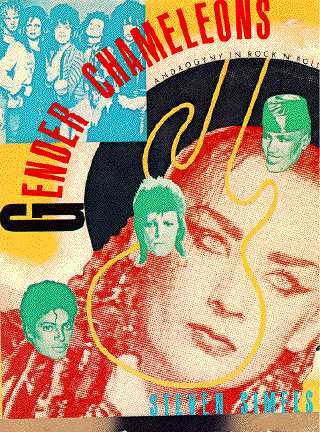 Younger readers may also be surprised to find musicians like Lou Reed or Bob Dylan also went through periods when their gender could be questioned because of their appearance. Ignore the text and get this book for the photographs.